Subtitle: Between "benign neglect" beforehand, "blunders" after the storm, and downright sabotage of the relief effort, the Federal Government has taken first steps to destroy this advanced city and "re-wild" it. These events have unfolded right before our eyes -- have you noticed? 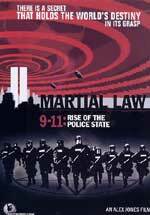 Martial Law -- Illuminati Principle: They never do something on a large scale until they have tested it first on a small scale. In NEWS2069 entitled -- "Hurricane Katrina Seems To Be Following The Script of FX TV Movie 'Oil Storm' Shown 6/5/2005: Seems To Be Producing Just What The Plan Calls For -- Martial Law, FEMA, Homeland Security, And Pentagon, All Practicing For The Coming National Disaster" -- we said that one of the objectives of this hurricane disaster was likely to be a declaration of Martial Law. That prediction did not wait long in coming. "NEW ORLEANS, Aug. 30 (UPI) -- Martial law was declared in New Orleans midday Tuesday as the city continued flooding from at least two levees damaged by Hurricane Katrina. No one but emergency personnel was being allowed into the city, whose two airports were under water. Looting was reported ... Mayor Ray Nagin said bodies have been seen floating in floodwaters ... Nagin said the city's Twin Span Bridge is "totally destroyed" and that 80 percent of the city is underwater. 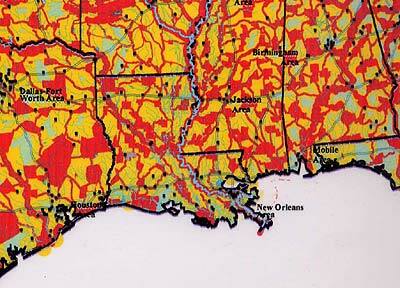 New Orleans is 6 feet below sea level, and reliant on levees to hold back water from Lake Ponchartrain. He also predicted there would be no electricity in the city for four to six weeks. Natural gas leaks were also reported throughout the city..."
The upshot of this situation is that New Orleans is virtually destroyed. If authorities wanted to "cleanse" this city so that it could be evacuated of people and "re-wilding" could begin to occur, they could not have gotten a better scenario than if they deliberately planned this whole fiasco. Remembering that the Illuminati tries to create chaos so they can step in with their own "solution", we shall come back shortly to this concept that this hurricane which devastated New Orleans was, indeed, planned -- at least as far back as 2000-2001. 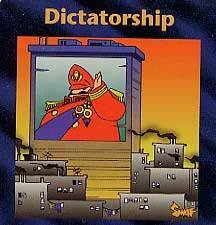 As a matter of fact, the concept that hurricanes would be used to set the scenario by which Martial Law would first be declared and then a Dictatorship established -- just as these two Illuminati Card Game Cards illustrate -- was well known to occult role-playing game creator, Steve Jackson, in 1995, the year in which he released the "Illuminati Card Game". 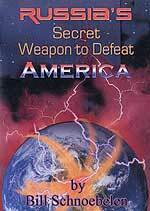 Not only did Jackson predict that hurricanes and earthquakes would produce the kind of upheaval which would allow for Martial Law and Dictatorship, but he accurately predicted the attacks on the Twin Towers and the Pentagon! Please also take a moment to thoroughly read our Weather Control / Warfare section, where we have written incredibly detailed articles proving that Russian and American scientists can and do control the weather and natural events such as earthquakes, hurricanes, and other storms which can devastated mankind. Such powerful winds, plus the fact that the storm came in on high tide, slammed against the levees designed to keep the sea out and broke at least one of them. At the same time, Lake Ponchartrain was filled to overflowing with the massive rainfall, collapsing at least one of those levees. The real damage to New Orleans came from the Lake flowing into New Orleans, for that water stays in place, while sea waters recede. Rumor is sweeping the Internet that the levees were deliberately destroyed. If anyone has any video footage of these levees breaking, please contact Cutting Edge Ministries at 866-909-2850. On Day 6 after Katrina hit, Homeland Security seized control of New Orleans -- backed by gun-toting combat soldiers!
" Homeland Security Secretary Michael Chertoff said Sunday the federal government is in control of hurricane-ravaged New Orleans after days in which authorities failed to reach stranded refugees and evacuate the city. Chertoff declined to estimate the death toll from the hurricane and its aftermath, but conceded that untold numbers of people could be found dead in swamped homes, floating in the water and in the facilities used as shelters." Only in government do those people who incompetently handled their jobs get promoted! As we shall see in a few moments, the search and rescue effort of the Federal Government was so badly carried out, people were stunned. For decades, Americans have been conditioned to believe that our military is the perfect model of efficiency and capability. After all, since Gulf War I, America has knocked down tin can puppets from Kosovo to Afghanistan, to Iraq, daring the large nations of the world to do anything about it. Americans loudly cheer at ever display of military prowess, from jet fighters flying overhead, to naval ships sailing, to military parades. Most Americans are very proud of our government and our military. Yet, for fully five days, the Federal Government absolutely botched the rescue effort, not only in New Orleans, but up and down the devastated coastline, from New Orleans to the border of the Florida panhandle. New Orleans was not the only city to not get the Federal aid they had anticipated, as communities large and small to the east of the city discovered that they were basically on their own, for the Federal help was not coming, and state help was not adequate. The kindest thing that can be said is that the Federal Government acted incompetently In a few moments, we are going to examine scenarios which suggest that officials of the Federal government acted maliciously and with aforethought, in their aftermath efforts. The latter possibility would square with our opinion, that this entire hurricane disaster was planned a long time ago, in order to produce the "Chaos" out of which can come the "New Order" -- that global government, economy and religion without which the Masonic Christ cannot appear. "We need to prepare the country for what's coming ... we are going to uncover people who died hiding in the houses, maybe got caught in floods, it is going to be as ugly a scene as you can imagine', Chertoff said on "Fox News Sunday'. The federal government has been harshly criticized for a slow and ineffectual response to the crisis, with days passing before food and water reached thousands who took shelter in the Superdome, the convention center and on highways. I know that Secretary Michael Chertoff was addressing the shockingly high death toll which shall soon be announced when he said, "We need to prepare the country for what's coming". But, I wonder if this is not also a "Freudian Slip", for what is really coming soon upon the people is nationwide Martial Law, followed pretty quickly for nationwide Dictatorship. "We are in control of what's going on in the city." Indeed, they are. The Federal Government has just seized control of its most populous city from a sovereign state - Louisiana. Federal power has just ridden roughshod over state power. The Louisiana governor cannot control the National Guard from that state, without the agreement of Washington, since the National Guard was Federalized right after the 1991 Gulf War. The Federal Government also largely controls the state and local police, so if the Louisiana governor, and the Mayor of New Orleans, were suddenly summoned to the office of a Federal official, they would have no choice but to meekly surrender and then tell everyone they had asked for Federal intervention in a city outside their control. The first step in destroying a city and emptying it of its citizens is to produce the plan -- well in advance so every step could be carefully set in place. This following article shockingly reveals that the planning to destroy New Orleans began years ago -- September 10, 2001 in fact. On the very next day after this FEMA prediction, the attacks of 9/11 occurred -- the Twin Towers and The Pentagon were attacked, precisely as the Illuminati Card Game predicted in 1995! A massive "Intelligence Failure" has been officially named as the reason this horrific attack occurred. 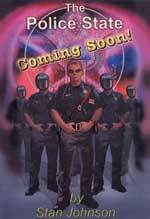 Cutting Edge, on the other hand, had been warning since 1998 that terrorism against cities was going to represent the final chapter of this plan to overthrow our current civilization, plus we posted an article three months before the attacks of 9/11 (NEWS1509), warning that such an attack was probable, and seemed to be close. We even mentioned New York City as a target site. 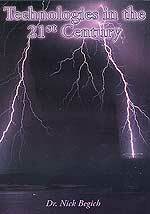 However, "predictions" #1 and #2 are in a very different category, i.e., they fall into the Natural Disaster category, a sphere in which the majority of American citizens have been conditioned to believe that Weather Control was quite outside the province of man, as "only God can control the weather". Our leaders, our learning institutions, and our Mass Media continue to play to the ignorance of the average citizen, reinforcing his ignorance at every opportunity. A good example is the concept that scientists can control the rainfall; to this day, we keep reading articles that "cloud-seeding" is being attempted -- with the idea that such activity has not been too successful in the past. Were Americans ever to discover that scalar waves wielded by scientists can create rainfall upon demand, an outcry would erupt like you have never seen before. Farmers would demand rainfall without interruption, while summer resort owners would order sunshine without end, and skiing resorts would demand maximum snowpack at all times. An earthquake in San Francisco is a weather event, while a hurricane in New Orleans is certainly a weather event. How could FEMA in 2001 possibly predict a hurricane in New Orleans and an earthquake in San Francisco as two of the most deadly "threats" America faces? You could understand that a prediction of a "terrorist attack" in New York City might be based upon accurate intelligence, but nobody can "predict" weather events in specific locations. Not even is the explanation that these locations were especially vulnerable to this type of disaster really adequate. These predictions -- coming one day before the first one came true -- are too accurate as to time and location to be accidental. But, once you understand that the Illuminati has prepared these types of events decades ago in order to overthrow the existing system and replace it with their coveted "New World Order", then this 2001 "prediction" becomes understandable. If I lived in San Francisco, I think I would get out of there, while you can still sell your home. You evidently have a target painted on your city. One interesting factor is worthy of note here. New Age author Bill Cooper, in his book, "Behold A Pale Horse", stated that New York City was targeted with a terrorist attack, and that Los Angeles was targeted with an unprecedented 9.0 earthquake. Has the Illuminati changed their minds as to which California city is to be hit with a massive earthquake -- or do they plan to wreaking both cities with one huge quake that would destroy up and down existing fault lines? Only time will tell. The second step in destroying a city and emptying its citizenry would be to ensure that efforts to repair the very protection which would shield the city from the planned onslaught could never really be undertaken effectively. As far back as September, 2001, officials at both state and Federal levels knew the levees could not withstand a really strong hurricane. "The surge of a Category 5 storm could put New Orleans under 18 ft. of water. Think of the city as a chin jutting out, waiting for a one-two punch from Mother Nature. The first blow comes from the sky. Hurricanes plying the Gulf of Mexico push massive domes of water (storm surges) ahead of their swirling winds. After the surges hit, the second blow strikes from below. The same swampy delta ground that necessitates above-ground burials leaves water from the storm surge with no place to go but up. The fact that New Orleans has not already sunk is a matter of luck. If slightly different paths had been followed by Hurricanes Camille, which struck in August 1969, Andrew in August 1992 or George in September 1998, today we might need scuba gear to tour the French Quarter." "During a strong hurricane, the city could be inundated with water blocking all streets in and out for days, leaving people stranded without electricity and access to clean drinking water. Many also could die because the city has few buildings that could withstand the sustained 96- to 100-mph winds and 6- to 8-ft. storm surges of a Category 2 hurricane. Moving to higher elevations would be just as dangerous as staying on low ground ... yet knowing all this, area residents have made their potential problem worse. "Over the past 30 years, the coastal region impacted by Camille has changed dramatically. Coastal erosion combined with soaring commercial and residential development in Louisiana, Mississippi and Alabama have all combined to significantly increase the vulnerability of the area." Now that we know that Louisiana and Federal scientists knew of the unique vulnerability of New Orleans because the barriers were not properly maintained, let us turn to a story which lists all the government inertia and "obstructionism" displayed by arrogant Bush Administration officials.
" Vital measures to protect New Orleans from "catastrophic" hurricane damage were scrapped by the Bush administration to pay for its wars on terror and in Iraq, despite official warnings of impending disaster. Funding for flood prevention was slashed by 80 per cent, work on strengthening levees to protect the city was stopped for the first time in 37 years, and planning for housing stranded citizens and evacuating refugees from the Superdome were crippled. Yet the administration had been warned repeatedly of the dangers by its own officials." We urge you to read this article fully, for it reveals much information damaging to the Public Relations lie that government officials really care for the average American citizen. Another revealing article is: "Did New Orleans Catastrophe Have to Happen? 'Times-Picayune' Had Repeatedly Raised Federal Spending Issues', Editor and Publisher, August 31, 2005. This article provides much local detail as to how the Bush Administration repeatedly refused to supply the monies needed to complete the repairs. When Hurricane Katrina swirled toward its fateful rendezvous with New Orleans, local, state and Federal authorities all knew the barriers were set to fail. What they did not do is ensure that everyone evacuated the city. Now, let us briefly turn our attention to stories indicating that Federal authorities deliberately withheld needed supplies. We begin with a source most people instinctively trust -- MSNBC News. This interview is so long, it is impossible for us to quote it all here, so we encourage you to read every word which state and local officials uttered about the post-storm relief and rescue efforts. "MR. TIM RUSSERT: Our issues this Sunday: devastation, desperation and death all along the Gulf Coast in the wake of Hurricane Katrina. What now? With us, the secretary of Homeland Security, Michael Chertoff, the governor of Mississippi, Haley Barbour, and the president of Jefferson Parish, Aaron Broussard." "MR. RUSSERT: I want to stay on this because this is very important. You said you were surprised by the levee being broken. In 2002, The Times-Picayune did story after story--and this is eerie; this is what they wrote and how they predicted what was going to happen. It said, and I'll read it very carefully: "...A major hurricane could decimate the region, but flooding from even a moderate storm could kill thousands. It's just a matter of time. ... The scene's been played out for years in computer models or emergency operations simulations... And last summer FEMA, who reports to you, and the LSU Hurricane Center, and local and state officials did a simulated Hurricane Pam in which the levees broke. The levees broke, Mr. Secretary, and people--thousands.. drowned ..."
"Once that bowl breaks and that soup bowl fills with water, it is unquestionably the case, as we saw vividly demonstrated, that it's going to be almost impossible to get people out. So there is really only one way to deal with it, and that is to evacuate people in advance ..."
"MR. RUSSERT: Jefferson Parish President Broussard, let me start with you. You just heard the director of Homeland Security's explanation of what has happened this last week. What is your reaction?" "MR. AARON BROUSSARD: We have been abandoned by our own country. Hurricane Katrina will go down in history as one of the worst storms ever to hit an American coast, but the aftermath of Hurricane Katrina will go down as one of the worst abandonments of Americans on American soil ever in U.S. history ... we've got to start with some new leadership ... It's not just Katrina that caused all these deaths in New Orleans here. Bureaucracy has committed murder here in the greater New Orleans area, and bureaucracy has to stand trial before Congress now ... "
"MR. RUSSERT: Hold on. Hold on, sir. Shouldn't the mayor of New Orleans and the governor of New Orleans bear some responsibility? Couldn't they have been much more forceful, much more effective and much more organized in evacuating the area?" This last exchange shows that local and state officials were depending upon Federal officials, and Federal officials were not performing! And, while Federal officials were fiddling, New Orleans was dying. "MR. BROUSSARD: Let me give you just three quick examples. We had Wal-Mart deliver three trucks of water, trailer trucks of water. FEMA turned them back. They said we didn't need them. This was a week ago. FEMA--we had 1,000 gallons of diesel fuel on a Coast Guard vessel docked in my parish. The Coast Guard said, 'Come get the fuel right away'. When we got there with our trucks, they got a word. 'FEMA says don't give you the fuel'. Yesterday--yesterday--FEMA comes in and cuts all of our emergency communication lines. They cut them without notice. Our sheriff, Harry Lee, goes back in, he reconnects the line. He posts armed guards on our line and says, "No one is getting near these lines." Sheriff Harry Lee said that if America--American government would have responded like Wal-Mart has responded, we wouldn't be in this crisis." To me, this revelation is the most shocking I have ever heard! Can you imagine a FEMA official lying through his teeth in turning back three trailer trucks of water, saying the people did not need them? Why, people were as thirsty as you can imagine; some victims might have actually died because that water was turned back. Similarly, fuel was needed to supply all sorts of emergency engines. Generators need fuel to bring electricity back on; boats for rescue need fuel.. But, 'FEMA says don't give you the fuel'! However, cutting emergency communications lines is absolutely unforgivable! FEMA cut those lines at the time they were needed most, i.e., when a massive effort needed to get underway to rescue massive numbers of people. Efficient communication was absolutely needed, and FEMA cut those lines. This fact, more than any of the other two, tells me that the purpose of the Federal Government was to kill as many people as possible, in order to kill the city of New Orleans. The first two incidents may be passed off as miscommunication, but cutting the emergency communications lines is deliberate. But, what else can you expect when this overwhelming disaster was planned as far back as September, 2001? How many hundreds, or even thousands, of times did this type of story repeat in this storm and its horrific aftermath? Now, let us turn to another aspect of this MSNBC article. While New Orleans was drowning and dying, in large part because no supplies and no relief columns got to them, other devastated communities praised the Federal government for their efforts and for the timeliness of those efforts. Therefore, if the Federal government took such good care of Mississippi, why did they not take care of New Orleans? The answer is simple: they wanted New Orleans as a test to give FEMA the opportunity to run a municipality under Martial Law. And, later down the road, the Feds want to "re-wild" the city. If ever a city existed only because of the modern efforts of man, it is New Orleans. Artificial means kept that city alive, and that would infuriate any card-carrying environmentalist! The city simply must be "re-wilded". The reality of the moment is that the very Federal agency seriously charged with misconduct and/or incompentency in managing the post-storm relief and rescue effort has now been given the responsibility of governing a city -- New Orleans -- under the mandate of Martial Law. In all the writings I have researched about the planned disasters and panics which will be brought about in order to bring the new system into being, FEMA running the whole country according to the dictates of Martial Law is the most important single subject. Today, FEMA gains experience running one ruined city according to Martial Law and combat troops armed with M-16 rifles and "shoot-to-kill" orders. 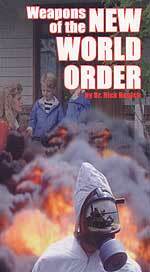 Soon, FEMA will be ready to run one ruined country according to Martial Law and combat troops armed with M-16 rifles and "shoot-to-kill" orders. New Orleans is the test-run before the main event. * NEWS1953 -- "HURRICANE CHARLEY ABRUPTLY, UNEXPECTEDLY CHANGED COURSE, STRIKING PUNTA GORDA AREA, A MAJOR U.N. BIODIVERSITY AREA WHERE NO HUMANS WILL BE ALLOWED TO LIVE!" New Orleans has been forced into Step One of the "Re-Wilding Plan". Step One takes the authority for the area to be "re-wilded" away from local and/or state authorities and gives it to the Federal government -- through FEMA or some other agency. That step has now been taken, as noted above. 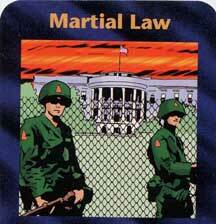 Homeland Security now rules with the iron fist of Martial Law, supported by National Guardsmen and battle-tested U.S. Marines. Step Two will be to delay the beginning of meaningful reconstruction until the public can be conditioned to accept the reality of a United States without one of her major cities. Part of that conditioning could be another devastating hurricane. We are still in Hurricane Season, so no one would be too surprised to see another one hit hard, while evacuations and elementary clean-up is still going on. If another hurricane hits, the "Mother Gaia" principle would be so dramatically strengthened that we might actually see and hear "experts" popping up to educate the average American citizen as to why "Gaia" is so troubled, and why people need to understand the necessity of giving up our entire way of living, our homes, our cars, our careers, our professional sports, our TV, movies, and even our backyard barbeques (believe it or not, but New Age environmentalists even complain about the "waste" of the backyard BBQ). Come to think of it, Americans will not be ready to give up that bundle of "goodies" right now -- even after Hurricane Katrina and all the other recent storms. More natural disasters are required -- including an unprecedented quake in either San Francisco or Los Angeles -- as are terrorist attacks in the cities, massive economic meltdown, all-out regional war in the Middle East, a nuclear confrontation on the Korean Peninsula which makes mankind believe it will be incinerated at any moment, and China invades Taiwan. A major milestone has been reached: for the first time in American history, a major American city has been devastated so thoroughly it may not be rebuilt, the excuse for a Martial Law has been found, and the Federal Homeland Security has seized control of that city. For the first time, armed combat soldiers with battle testing are the rule of law in a major city. A very serious "line in the sand" has been breached. Now, all parts of this terrible plan are conceivable. The New World Order is definitely taking shape, in front of our very eyes.